Nice capture. Lovely rose too. I keep hearing that Sparrows are reducing in numbers but certainly not at our bird feeders and, by the look of this, not on yours either! Nicely captured. was just wondering what kind of bird feed it is and that l like the different look of it. 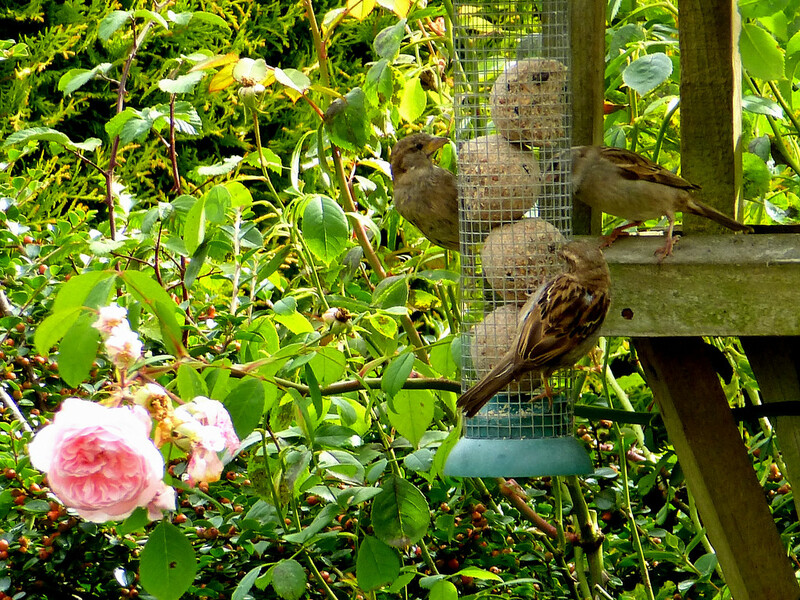 hello a lovely garden capture, these sparrows look very happy feeding.